I have a long held belief that while travelling you should ‘get it over and done with.’ The practical application of this means frontloading your initial day/s in a particular place with as many of the activities, excursions or things you want to see and do as early as possible. This gives you enough time to offset any unforeseen hiccups along the way that might see you miss out on that ‘must see’ thing that you saved till the very last day, (it is also practiced with much more enthusiasm that ‘get it over and done with’ might suggest). A midnight arrival at the Manava Suite Resort in Tahiti, saw us sleep in until 10.00 am on the first morning and decide to break with tradition and relaxing day first. We tried to book a 4×4 tour of Papenoo Valley for the final day but the travel Gods decreed that would should not break with tradition… the only availability was that afternoon. Get out there and get it done. A quick swim in the divine infinity pool (stunning views across to the island of Moorea) and a resort lunch (where I discovered that French Polynesia has a fetish for goat’s cheese of which I highly approve) and we were off to explore. 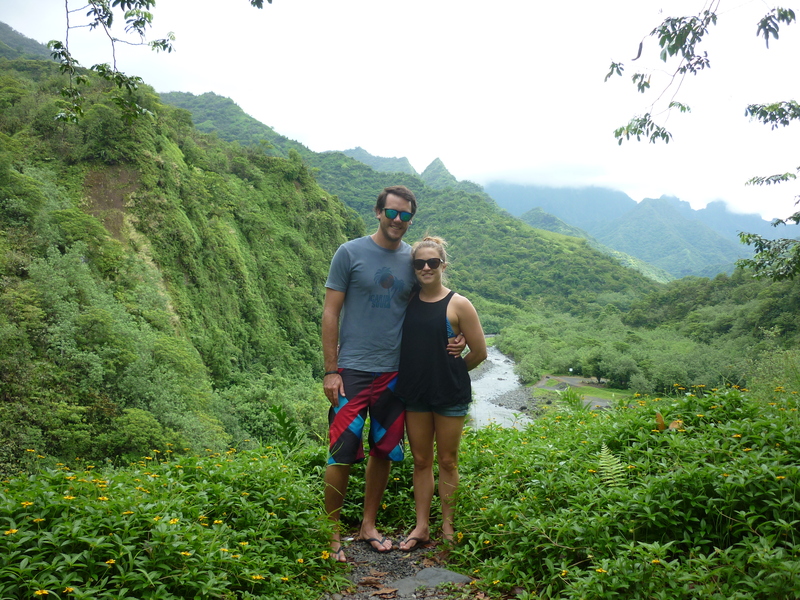 It was just the two of us in the open back jeep as we cruised through the capital of Papeete and along the coast road. It was such a nice atmosphere to be sitting the open air, soaking in the stunning aquamarine lagoon that rings most of the island and the black sand beaches that line the north coast of the island. We turned inland at Papenoo to explore the volcanic crater that forms Papenoo Valley. In addition to boasting more than 1000 waterfalls, the valley has the dubious distinction of being home to a tradition akin to a real life Hunger Games or The Running Man. The entire valley once belonged to the king who would use it to put a twist on the traditional human sacrifice. The sacrifice would be released into the valley followed shortly after by the hunter. If the sacrifice could stay alive until sunset, the hunter would become the sacrifice instead. Not only did we learn about human sacrifice, we were also presented with a ginger flower that produce a natural hair shampoo and got to eat guava straight from the tree. From there it was back to the resort pool for a sunset swim. 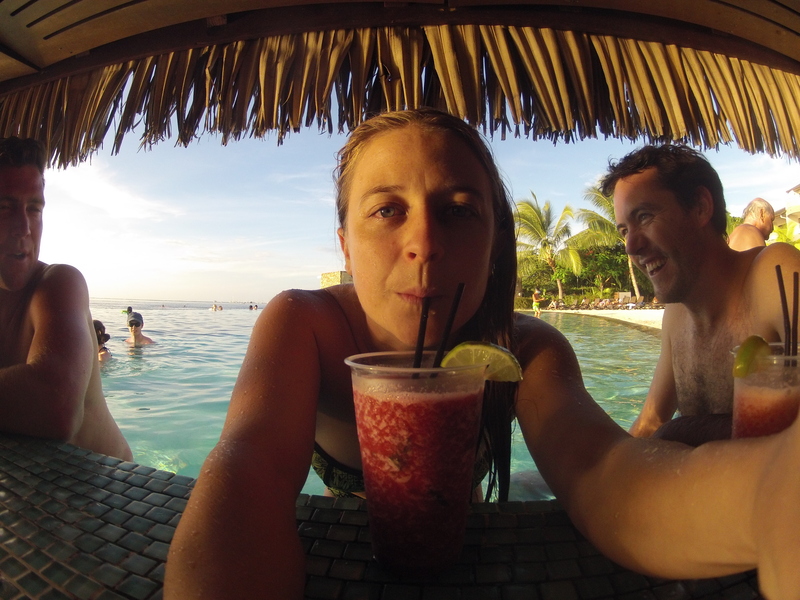 It was in the swim up pool bar that I made the pleasant discovery that I am a Jack Daniels fan… provided it is mixed with a bucket load of frozen strawberries and lime. 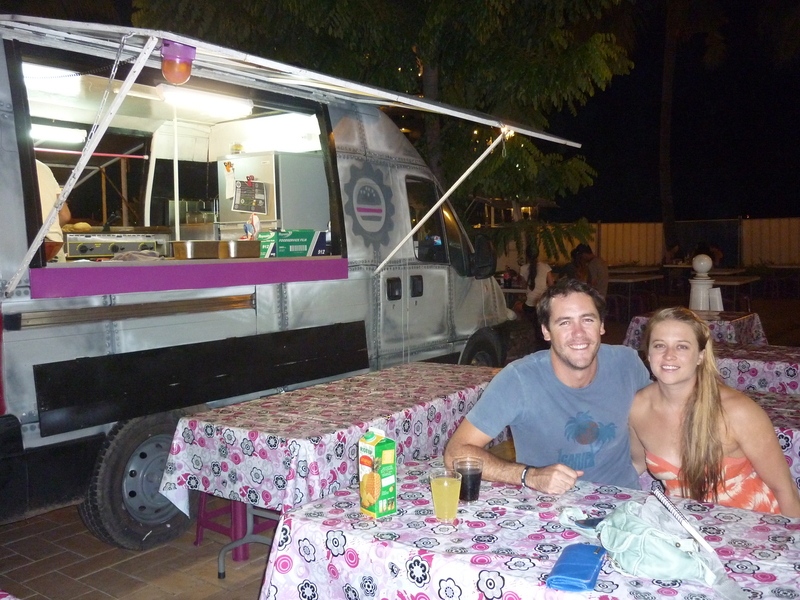 We taxied back into Papeete to try out the famous roulottes or rolling food trucks. Every evening twenty plus food trucks pull into Vaiete Place on the water front and set up plastic tables and chairs for diners and cook up a storm. The food here is much cheaper than eating in the resort restaurants (meals for under $20) and arguably much nicer. The many choices include Chinese, pizza, crepes, burgers, ribs, poisson cru, and steak and chips. And the winner is….. [extended drum roll to reflect how long it took to choose between all of the scrumptious delights on offer]. Gourmet burgers with uru (breadfruit ) fries from Burger Machine!! The only disappointing thing about it was that I couldn’t fit in a second dinner despite my willing taste buds and eyes that are, as always, too big for my stomach. This entry was posted in Not all about Brando, Travel and tagged Tahiti. Bookmark the permalink.